Zucchini is a tender but crunchy, green-/yellow-coloured vegetable, similar in appearance to a cucumber but slightly sweeter in taste. Its rich nutritional profile makes it a vegetable contributing to several health benefits. Treasuring loads of vitamin C within itself, zucchini proves to be good to control cholesterol levels, aid in calcium absorption, and maintain of bone and tooth structures, and possesses appreciable antioxidant properties. Carotenes (luteins and xeaxanthin) give it its characteristic bright yellow colour and play an active role in enhancing vision and preventing visual degeneration. Manganese also forms a large part of the nutrient composition of zucchini and is essential as it helps form collagen in the body, participates in various biochemical pathways, and oxidizes free radicals to prevent cancers. Some variants are rich in folate, iron, zinc, and B complex as well and can hence contribute to various other associated health benefits. 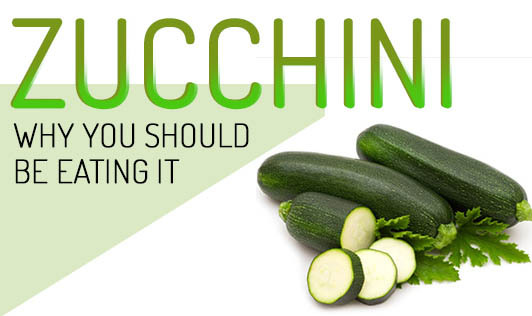 Enjoy the nutrient richness that zucchini offers. It is no longer restricted to specific regions. Select the ones that are clean, bright, shiny, thin, and heavy to carry. You can have them raw, steamed, baked, fried, or as a part of your salads and continental preparations.